The Association of Environmental & Engineering Geologists (AEG) would like to invite you to submit an abstract for presentations to be given at the symposium focused on case histories of landslides and their interaction with infrastructure and their especially challenging aspects. This technical program will be part of the 57th AEG Annual Meeting held in Scottsdale, Arizona from September 20-28, 2014. Abstracts should be submitted by May 1, 2014. 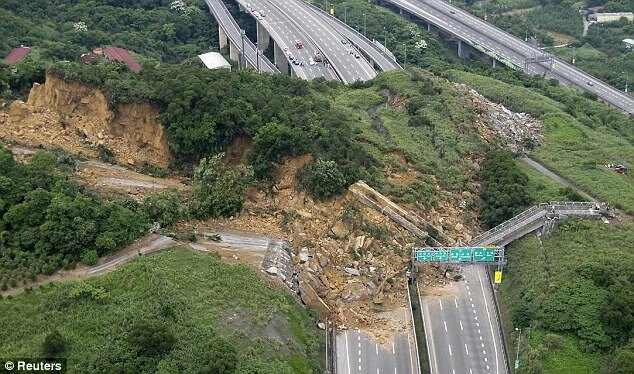 For more information, Download the Landslides and Infrastructure Symposium Call for Abstracts and submit your abstract online. 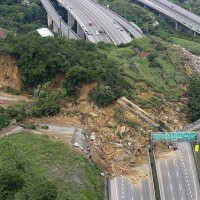 Photo credit: Reuters via the Landslide Blog. Folks attending the AEG 2014 conference this fall in Scottsdale, Arizona have a rare opportunity to tour the Grand Canyon and hear expert geologist Wayne Ranney answer the question “Just how old is the Grand Canyon?” and many other questions. The video below gives you a sneak peak at Wayne’s expertise on the Canyon. More info to follow soon on the field trip! 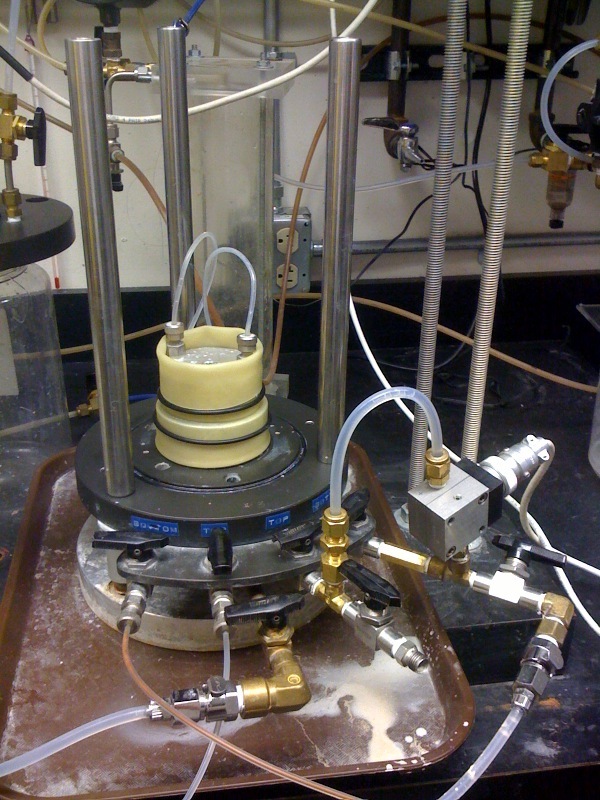 The Association of Environmental & Engineering Geologists (AEG) would like to invite you to submit an abstract for presentations to be given at the symposium focused on recent findings and current practice related to Unsaturated Soils. This technical program will be part of the 57th AEG Annual Meeting held in Scottsdale, Arizona from September 20-28, 2014. Abstracts should be submitted by May 1, 2014. Download the Call for Abstracts for the Symposium on Unsaturated Soils in Cutting-Edge Design and Construction of Infrastructure and submit an abstract online. 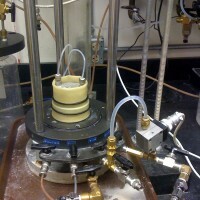 Photo credit: CU Boulder Flow Processes Laboratory. 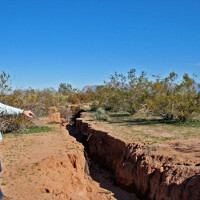 Earth Fissure in Apache Junction, Arizona. Photo by Todd C. Shipman and Meagan Shoots, AZGS. 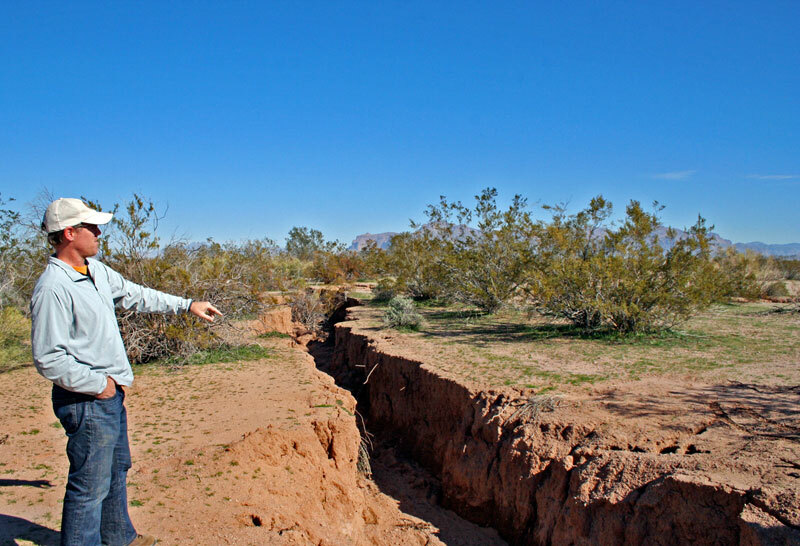 The Association of Environmental & Engineering Geologists (AEG) would like to invite you to submit an abstract for presentations to be given at the symposium focused on recent findings and current practice related to Land Subsidence and Earth Fissures. This technical program will be part of the 57th AEG Annual Meeting held in Scottsdale, Arizona from September 20-28, 2014. Abstracts should be submitted by May 1, 2014. For more information, download the full Call for Abstracts for the Earth Fissures Symposium and submit a Call for Abstracts for the Earth Fissures Fissures Symposium and submit an abstract online. Photo source: AZGS.